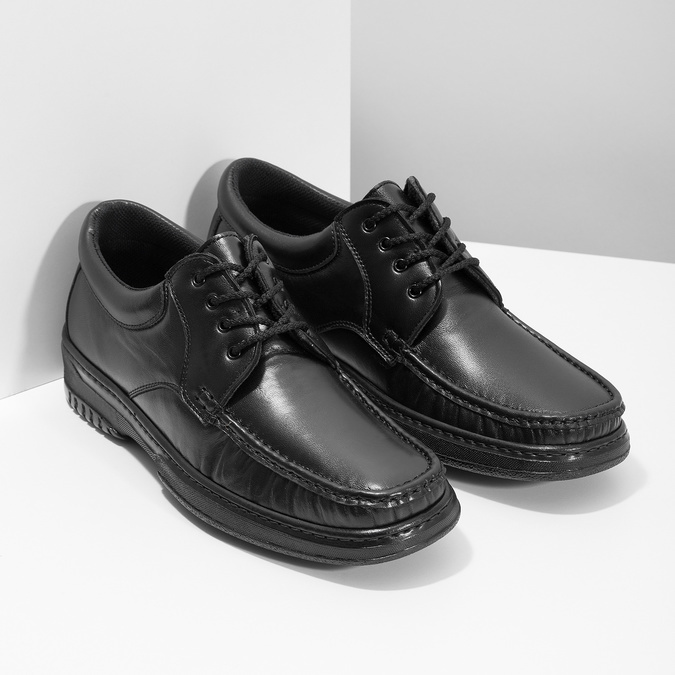 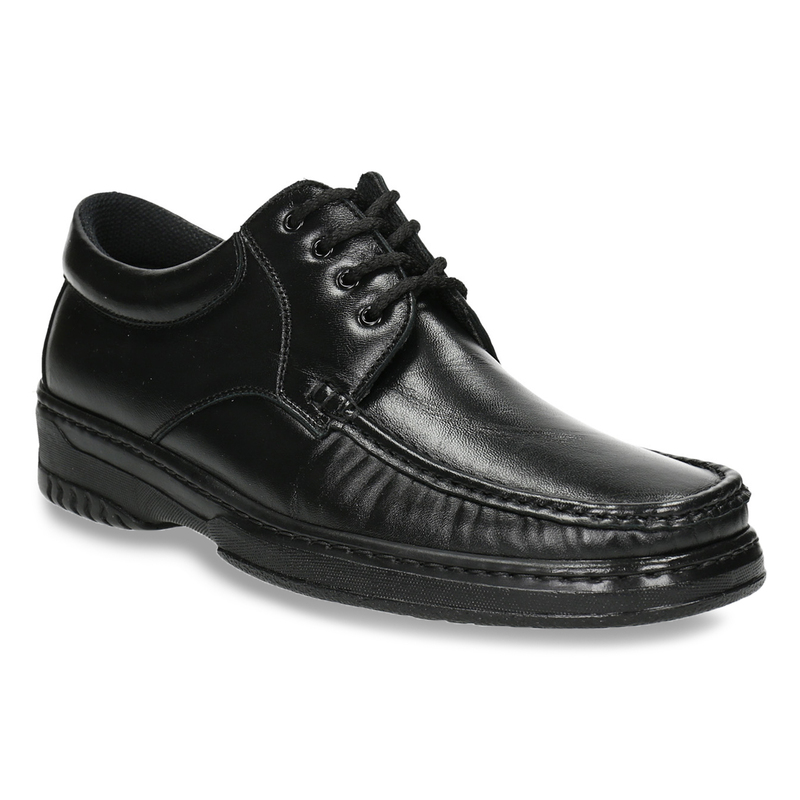 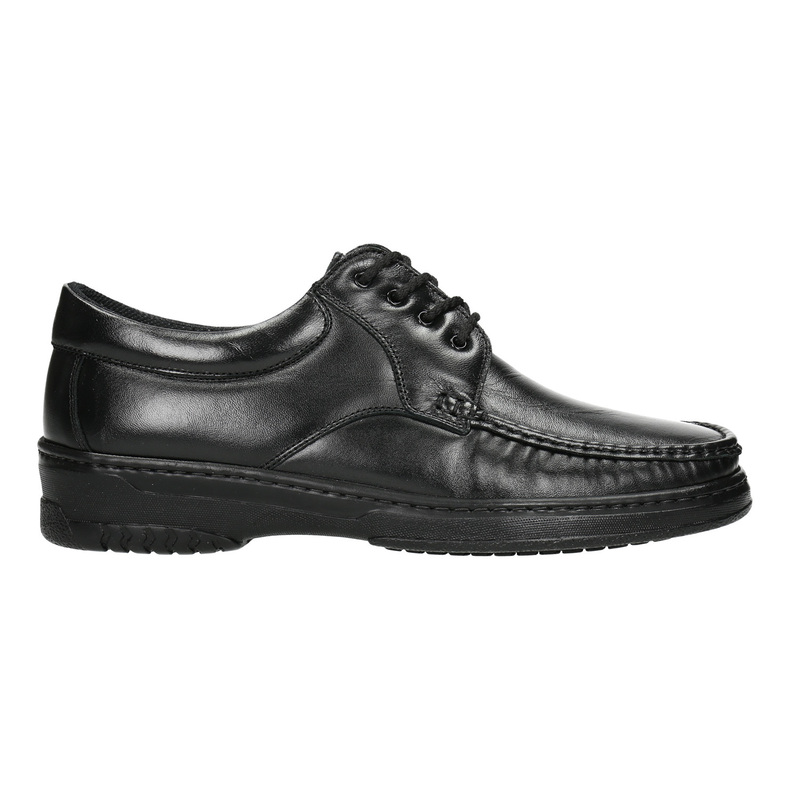 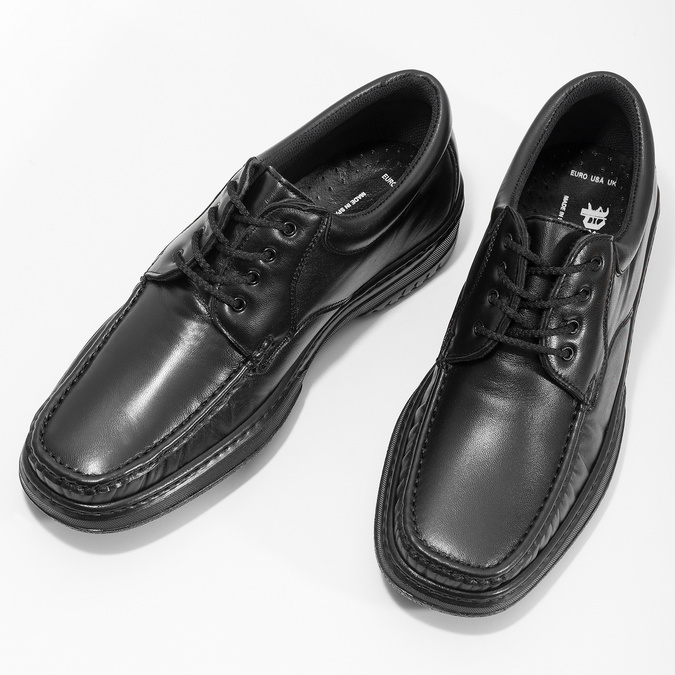 These Pinosos black leather shoes attract attention with their timeless design and distinctive stitching on the toe. 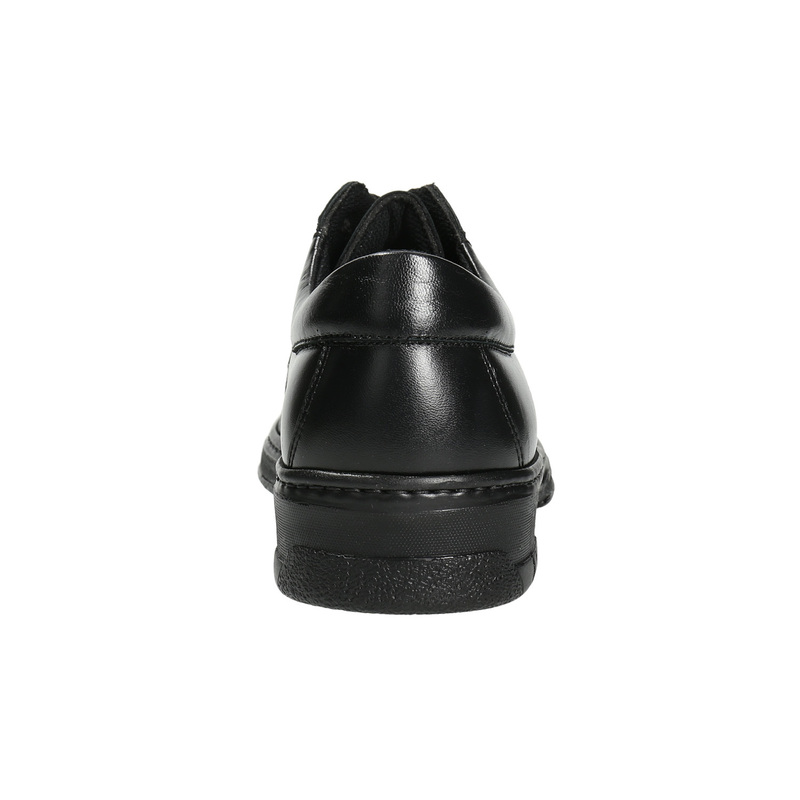 The wider outsole underneath the heel ensures the all-day comfort of your feet and they are therefore ideal for casual wear. This model fits nicely with dark jeans and Chinos trousers and you can wear them to the office as well as to work meetings. 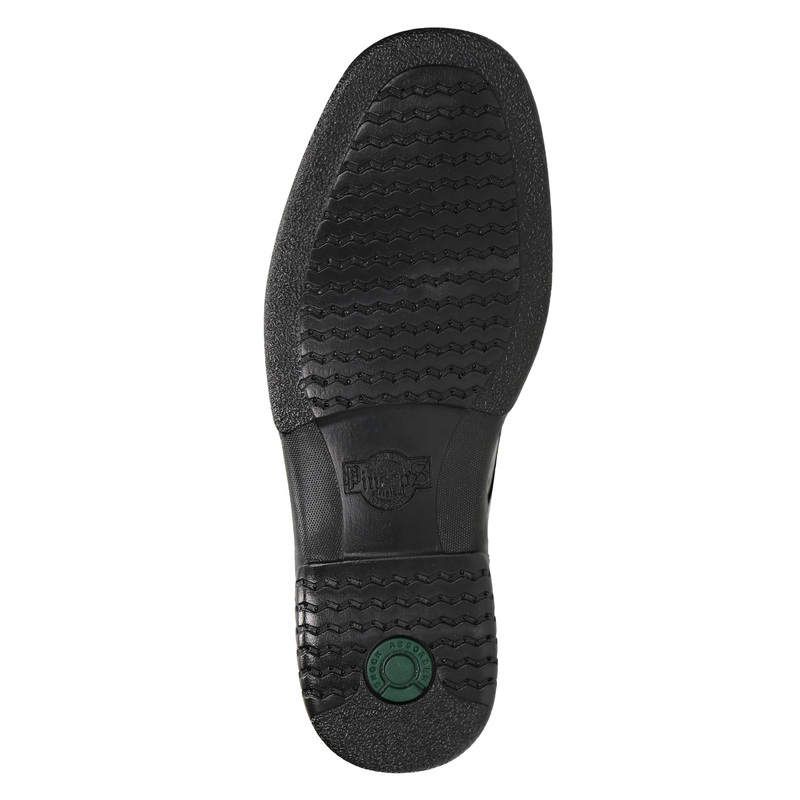 The sole under the heel absorbs shock.